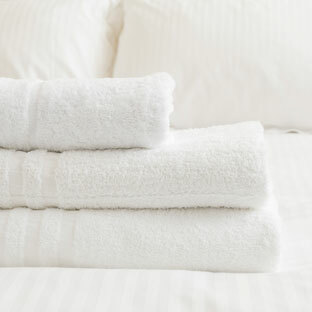 Exceed guests' expectations and make every soak memorable, with sumptuously soft towelling. 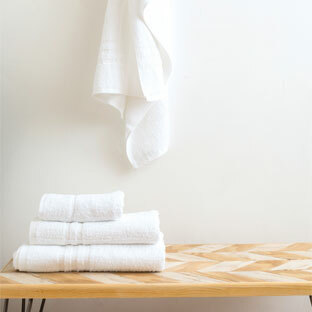 Bright, white, fluffy and made with the finest quality yarns, it's no wonder that Supreme is the king of 100% cotton towels. 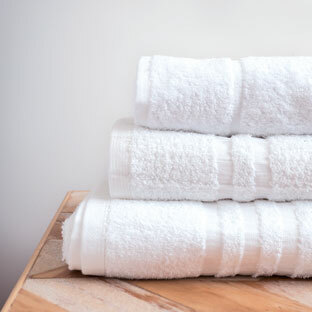 With a luxuriously deep and soft pile, featuring an attractive popcorn header bar, the 600gsm Supreme Premier towel range is sure to impress. Wonderfully soft and fluffy, guests will appreciate the extra luxurious feel of the heavier weight Supreme Deluxe range. Beautifully plump and absorbent without compromising. 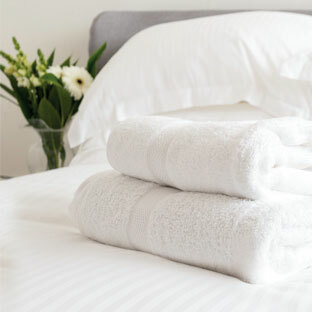 Soft, bright, white, fluffy and manufactured in our cotton mills to the highest standards. 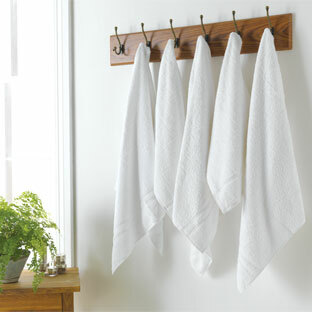 These hardwearing towels retain their looks and softness throughout their working life. Soft, light and absorbent, and featuring attractive blue stripe header bars, the Supreme Leisure range is the ideal companion to any leisure setting. Ultra lightweight and highly absorbent, the Supreme Gym towel is ideally suited to work as hard as any active gym goer. Expertly sourced from our partner manufacturers, the range is available in a selection of weights and designs to suit any budget or signature style. Specially engineered to stay wonderfully white and super soft, our 450gsm Supreme Essentials range offers unbeatable performance for high volume environments at incredible value.